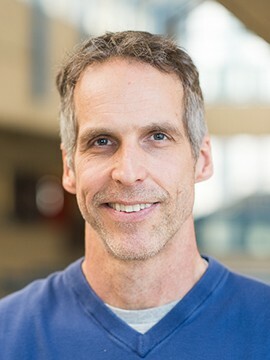 Dr. Todd Handy is a UBC professor in the Department of Psychology who specializes in cognitive neuroscience. He’s also the kind of prof you’d like to have a coffee with. We discussed how the "savvy student," as he put it, can use neuroscience research to optimize their academic performance. Read on for 4 strategies—based in neuroscience research—that can help you study smarter, not harder. Not only is leaving all your studying to the last minute something that can cause you to stress, it’s simply not a smart way to study. “There is a thing called the consolidation process where the brain may be handling some of that information when you’re not thinking about it,” said Dr. Handy. Allowing time and space for this consolidation process, also known as an incubation period, is vital. By reviewing the material regularly, you’re forcing yourself to recall the information, which helps you retain it. “The real positive kick comes when you go back to it again. Now you have to call it back up again. That helps to solidify the information in your memory. It helps your brain better retain it." So if you’re going to devote 3 hours to studying, the evidence suggests it is much better for you to have 3 separate, 1-hour study sessions than it is to have a single 3-hour session. When you take a traditional exam, what you’re basically doing is calling up all this information from memory. Study methods that replicate that experience can help you perform better. “If you have an exam that's just going to ask you a bunch of questions, it's helpful to study by practicing answering those questions,” said Dr. Handy. That's why using flashcards can be a really effective way of studying. You are not only reviewing the material but you are essentially creating the conditions under which you will be tested. “Not only does the brain re-engage with the material and that sort of solidifies it, you're also practicing what you're going to do at the test. People have shown that's very effective,” said Dr. Handy. So take a minute to think about the type of exam you will be writing: is it going to be short-answer questions? Multiple choice? Applying concepts to real-life situations? Make sure you tailor your study activities to the type of questions you will be asked. Dr. Handy doesn’t allow any electronics in his classes. That means no phones and no computers. And he provides neuroscience literature to justify it. The savvy student, then, not only turns off their phone in class but also while studying for an exam or writing an essay. Dr. Handy was afraid of sounding like a broken record. He did...but with good reason. The reason was the Great Triad: eating well, sleeping enough, and exercising regularly. “This is where thinking about the brain more holistically is really vital. How do you optimize, not just the material you're learning, but how do you optimize the brain itself? How do you bring the brain's A-game to the table?" The answer: take care of your brain just as you would any other muscle, tissue, or organ. In the end, it’s important to pay attention to what works best for you. There's no one-size-fits-all solution to studying. But by using these tips from neuroscience, you can get a better idea of the things you can do that make for more effective retention of your studies. Looking for more study tips, or ideas to help you recharge? Check out these events and resources to help you find your study groove and feel better this exam season.